Opening a restaurant is a dream come true for many people. Those who have a passion for food frequently want to share their passion with others. They love the idea of serving people food they know to be delicious. A restaurant is also a place where people share joyous memories. This is where people go for a special celebration or just to relax with close family and friends. If you are thinking about opening your own restaurant, there are a few things you’ll want to keep in mind before you begin. It’s crucial to start off your restaurant business venture on the right foot. Everything needs to be in place. You need to have the right space, the right staff and an overall vision. You also need to be prepared for any minor obstacles that might lay in your path before you open. 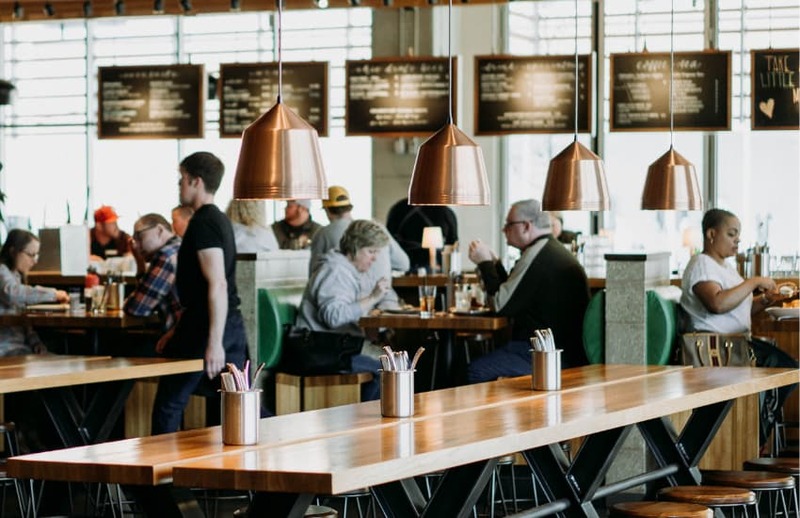 Getting the details right from the very start will give you the help you need to make your dream of restaurant ownership come true perfectly. A business plan is essential for all restaurants everywhere. All restaurants begin as an idea in someone’s head. The act of getting the business plan in place is what provides the blueprint all restaurant business owners need in order to figure out where they are headed next. A highly detailed business plan allows the business owner to show what they are going to do before they begin, as they start and what they are going to do once they have begun it. Any business plan should ideally have several parts. The first should be a summary of the overall plan for the business that provides an overall view. The rest of the document should be about providing a broader overview that shows plan for the current time as well as any future expansion plans. Many people have at least some funds to help start a restaurant. At the same time, they will generally need to have some form of outside financial help. Outside fiscal help can take forms. For many people, it might mean tapping into friends and family who share their passions for the restaurant business. It might also mean working with formal outside sources such as banks. Bank officials can help with loans that offer any restaurant owner the capital they need to be able to begin the venture and run it until it gets off the ground. In order to help bring in investors, it’s necessary to give them the feeling that is one business that’s going to succeed. Creating a sense of excitement and opportunity will bring in investors who feel as excited as the would-be restaurant owner. If you’ve never opened up a restaurant before, now is the time to speak others who have done so. You’ll learn a lot. Many people are happy to share what they’ve learned with others in the field. Look for restaurants that are getting good reviews and have lots of obviously satisfied customers. A good series of reviews online will often indicate a great deal of excitement from many happy customers. The same is true of positive attention from local and national area publications. Think about your personal favourite place to eat. If you’ve been to a nice place before and you’ve gone back there again, speak to the people who run it. They’ll be flattered to hear from those who are interested in the business and have the passion to follow in their footsteps. Even if you have a background in the field, it’s often wise to speak closely with others in the field. They can help you identify what works and what might need further tweaking. They can also help you realise what they’ve done successfully and how to use those lessons in your own new space. Those with a background in the field may also have financing of their own they can offer you as an owner. A skiller partnership is an ideal way to bring your dreams to life with someone with the same kind of experience. You and a partner with experience in the field can use that background to run the restaurant you have in mind. Examining the direct competition is another useful thing you’ll want to do. It’s best to have a general idea in mind about which particular area appeals to you most. You might have one city in mind or a suburb that has lots of potential. It’s best to begin narrowing down the site area as much as possible before you do anything else. Part of deciding on a location should be about knowing which restaurants are in the area right now. Some restaurants may be in direct competition with your idea while others may serve an entirely different niche. For example, if you are going to serve upscale, formal French cuisine, you’ll want to what other restaurants are in the area that serve similarly upscale cuisine. On the other hand, if you are serving fast food, you can safely disregard more expensive food options in the area. It’s best try all food options that might be in area in person. Notice what appeals to you, how you are greeted, pricing and other factors. These are the options that you’ll have as you open your own restaurant. It’s best to see what works best and what you might want to improve on when you begin your own restaurant venture. It’s also best to see where food might be improved. You might feel something is a bit too salty or the condiments might need a bit of changing. Offering clients something they can’t get anywhere will draw in people and keep them coming back time and again. While it may be tempting to leave all sources of employment to devote your entire time to the restaurant venture, in many cases it’s best to keep at least some forms of outside income coming in as the venture begins. Before the restaurant begins to operate it’s often best to keep to your current job. As it starts, having at least a part-time job can provide a much needed cushion as you continue to work. If you have a spouse, they might also want to keep a full time job. The spouse can help you keep access to a ready source of cash that you can use to pay your current bills. Working at least part of the time can help you let go of the stress of working at your restaurant. Having the chance to spend time somewhere else can provide a much needed sense of relief from all the things you need to do as you prepare that restaurant and start to see it realised. Getting completely out of the way also allows you to see the world differently. A co-worker may be able to provide you with insights that you aren’t getting from staffers and investors. They can also help you with other aspects such as tasting menus, the kind of pricing you find best and seeing the restaurant from a truly outside perspective. Decor is another truly essential element when it comes to creating the restaurant of your dreams. You want to have inviting decor both inside and outside the restaurant. It’s always crucial to make the best possible first impression. Now is the time to think about the kind of furnishings that you’re going use and why. Ideally, you want a combination of appealing items that are also quite durable and easy to clean at the same time. Furnishings should be thought about indoors and outdoor seating as well in order to create a truly pleasing whole. The kind of decor you’ll want to pick should ideally showcase the kind of food that you’re serving. For example, if you’re aiming to open up a romantic cafe, you’ll want to bring items that show off the romance and make the space call to mind a cozy place to relax with a loved one. Lacy curtains, thickly padded chairs, understated lighting and lots of fresh flowers are a great way to make the space the one you want. If you are going for a more casual look such as a pub, in that case, you might want to look for items like metal chairs and tables that encourage conversation in a congenial setting and lots of time relaxing on a Friday night. Staff are the first people your clients are going to see when they enter your door. You want staffers who share your vision and can make it come true. You want to find people who are dedicated, professional and committed to the same goals. Now is the time to think about the role that others are going to play in your new venture before you begin. It’s the time to search for others who have the passion, credentials, experience and the ability to bring your restaurant to a happy public. If you have previous experience hiring people, now is the time to use that well of knowledge in your new venture. You’ll want to think about what qualities you are looking for in your employees before you begin hiring. Those who have a background in the field of restaurant management may be looking for those who at least some background in this field. People who have no background in the field may want to find highly qualified people who can offer the guidance they need to get started. At the same time, people who lack such a background may contribute other, other much needed qualities. Those who are ready to learn may not have other ideas that do not mesh with your personal ideas about restaurant management. They can offer a great deal of enthusiasm and energy. People can be trained to meet the standards you have in mind. Attitude is an important quality that can help any business venture get off the ground and stay there. A sense of fun, loving what people do and a love of people are all innate qualities that help make any restaurant a place that welcomes guests and makes them feel special. Equipment is essential when running a restaurant. You need to have the best possible equipment. Good equipment will stand you in good stead now and as the restaurant continues apace. You’ll want lots of basic items such as plates, serving platters and silverware. You’re also going to want to have other items in the restaurant that are related to your personal vision. If you are going to spend a lot time frying things, you’ll need a deep fryer that can stand up to heavy use of over time and still function well even at the height of the lunch rush. Now is the time to invest in the best possible equipment. Good equipment makes everything else you have in mind flow more smoothly. You’ll want to have items that staff know how to use and keep in the best shape possible. Now is also the time tom make sure that everyone in the kitchen fully understands how to operate each item you have in there. For example, if you are using a sous vide machine where items are gently cooked over a long period of time in warm water bath, those involved with this kind of technique should know how to operate the machine properly. The last thing you want to do is have customers waiting because the machine isn’t ready. Safety should be at the top of any list before you open that space. You want to make your workplace safe for everyone. This means that all areas of the restaurant should be designed with safety in mind. Make sure that all employees are fully versed in all aspects of restaurant safety. Classes should be given once employees are chosen. Everyone should know how to move around the entire workspace without hitting someone else. They should also know how to make sure all clients are also safe. For example, all bathrooms should have flooring that are designed to stay clean and avoid spills. Having it all in place is of little use unless the world knows about it. This is where you want to begin to build excitement. You want others to know about your new space. You’ll want to let the local press know what’s going on. Invite them to your opening night. Let them tour the kitchen before you open and see what’s going on the menu. Think about placing ads in your local paper announcing what’s going on. Create a social media page for your new space. Speak to community groups about what’s happening. People may be curious when they see a new structure going up. You want to show them. Attend local fairs and other places where people gather. Bring out food samples for people to try. Now is the time to generate excitement that will bring curious, happy customers to your door on opening day. BE Furniture Sales offers high quality, affordable tables and chairs to the hospitality industry, pop in or contact us today.